Robert Martin began operating R&D Weaving as a side business in 1988. Robert would bring looms to his home shop to repair, clean, paint & run. As his previous employer began to get enough looms, Robert had a few looms at his shop and began running jobs at his location which his previous employer was unable to fulfill. As business came in, we were able to purchase more looms and run more jobs. We were able to grow into the 90's running continuously for many years. 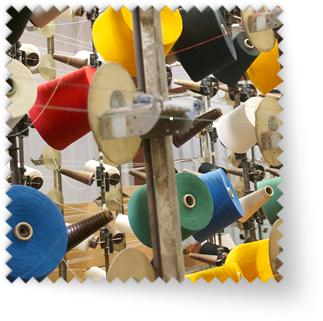 As time went on, we found our sweet spot in making specialty woven afghans, OEM fabrics, upholstery weaving & government contract weaving. Some of our products can be seen in the seats of the stealth fighter, the Las Vegas strip & church seating. Chances are, you may be sitting on or near some of our fabric right this minute.